Y’all, I fell in love with this town. 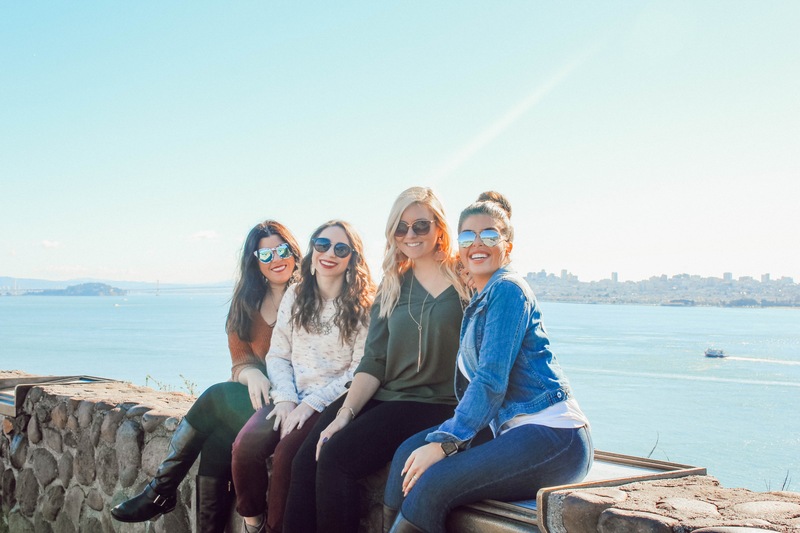 We were headed for a girls’ wine weekend and decided to spend the night in San Francisco before we headed up to Napa and I’m so happy we did! This is the cutest city! The architecture is beautiful, it’s right on the water and there’s great food. If it weren’t for the crazy steep roads, Houston might have been down a resident. Our flight landed mid-afternoon and boy did we squeeze a lot! 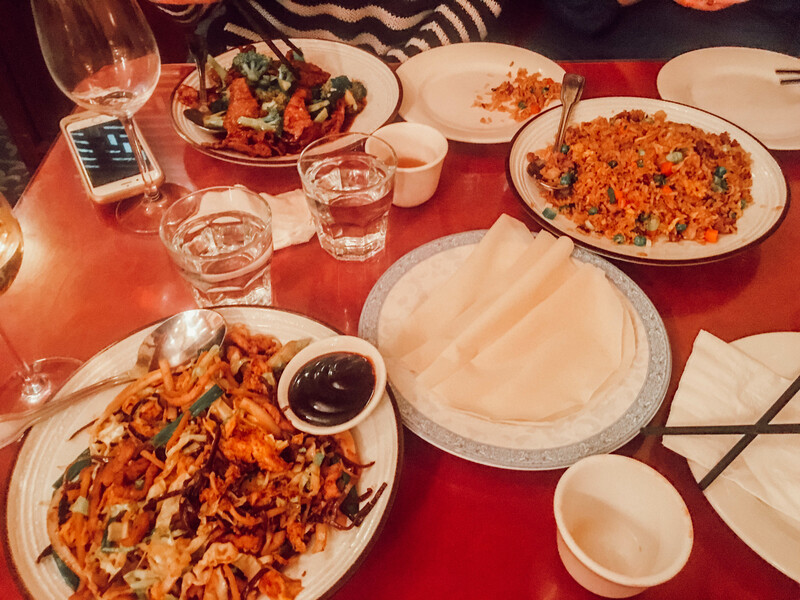 Here’s the breakdown of what I recommend for a quick trip to San Francisco. Hotel: To be honest, the hotel wasn’t anything special. But, it was really inexpensive and was in a great part of town, so I can’t complain. Air BnB is also a great option. Use this link to get $40 off your first stay. 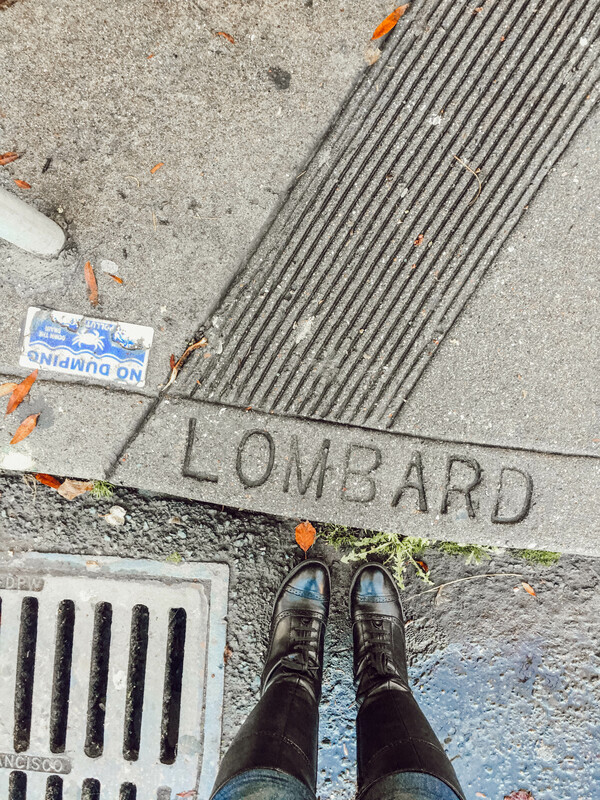 Walk: Wear comfy shoes and explore the city on foot. 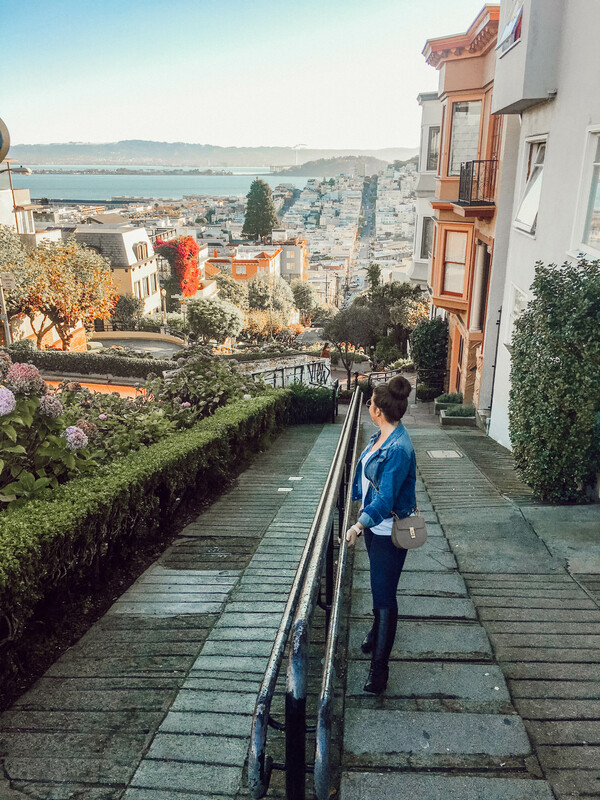 San Francisco is gorgeous, I really loved walking around to explore. This is super doable!! We only used a ride service a few times and it was mostly because it was raining while we were there. Uber: Use code madisonp21214ue to get your first ride for free. 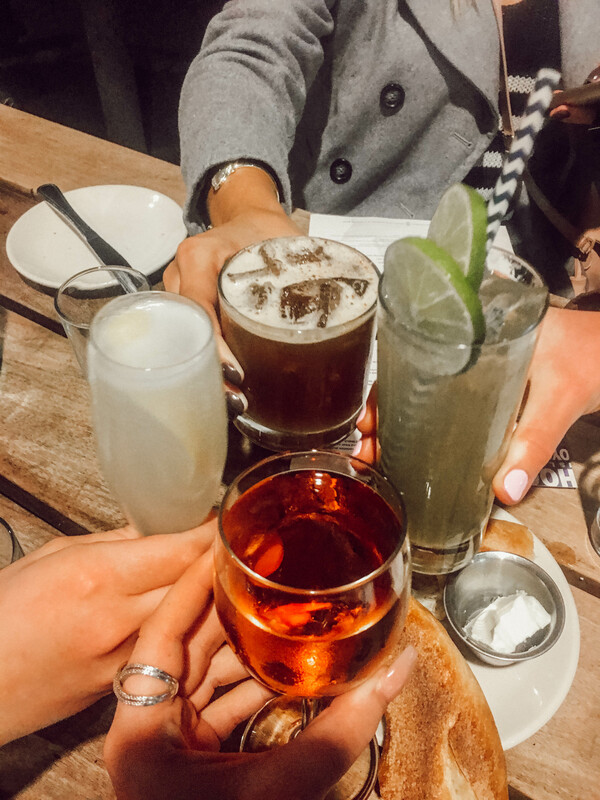 Lyft: Use code MADISON77541 for $5 off your first ride. 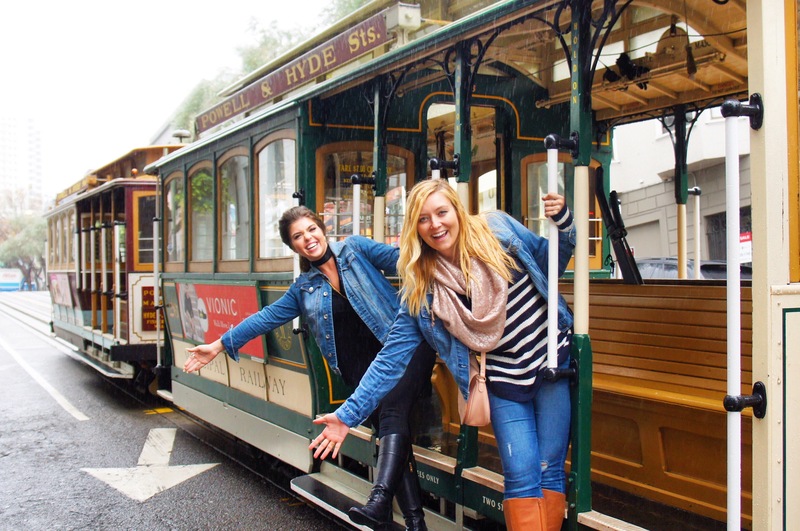 Cable Car: You can’t visit San Francisco without being extra touristy and hopping on a cable car. You can ride once for $7 or get an all-day pass for $21. 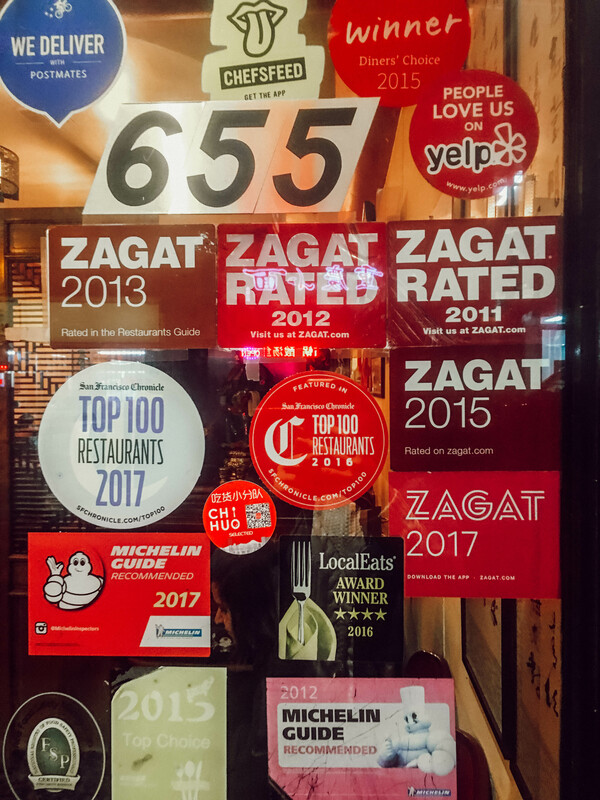 A pretty great deal, especially if you’re going to be all over the city. Golden Gate Bridge: A must! 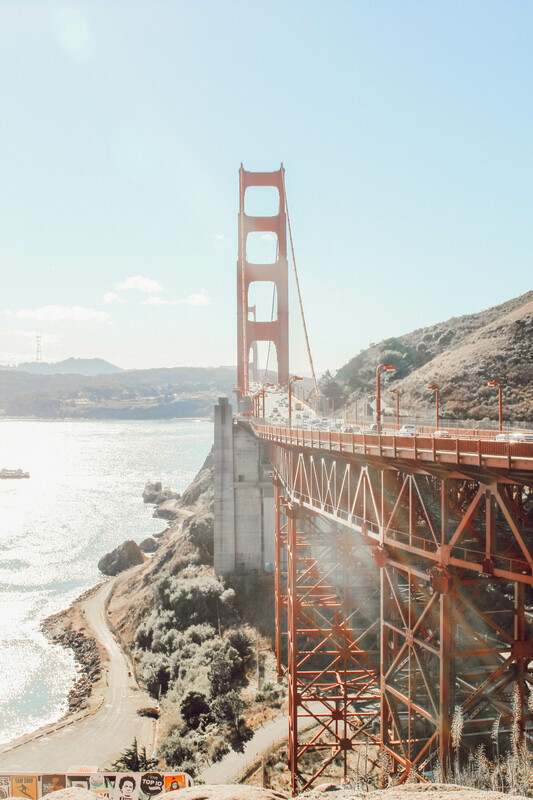 Click here for Where to Take the Best Photos of the Golden Gate Bridge. 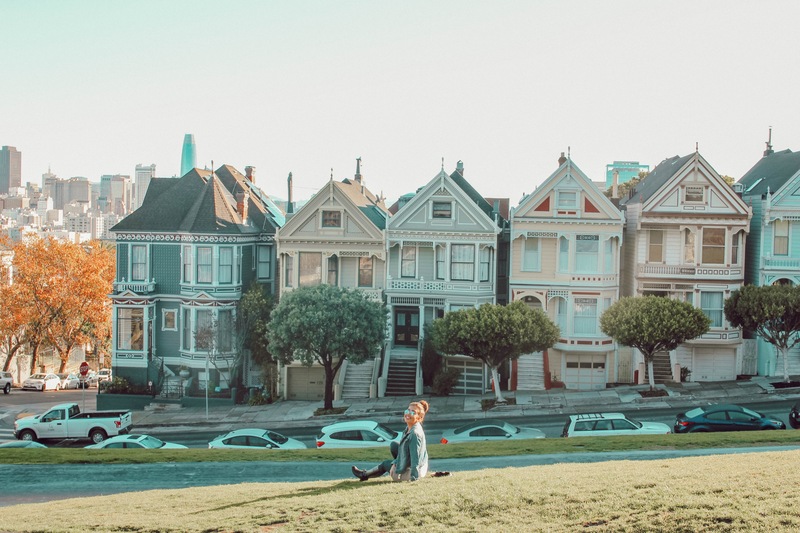 Painted Ladies (701 Steiner St): If seeing this picture doesn’t make you hum the Full House theme song, I dunno what to tell you. If you’re in San Francisco, you HAVE to go by and see this. 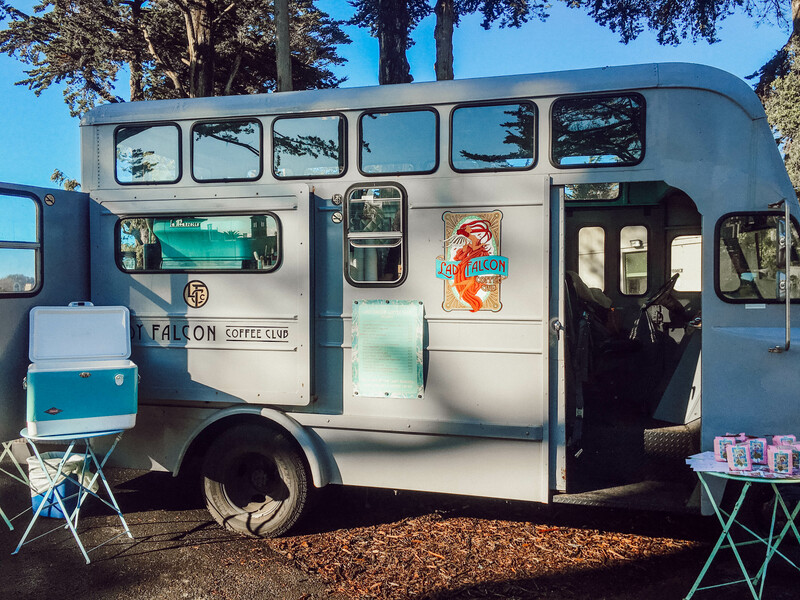 Also, there is an adorable coffee truck at the top of the hill! I highly suggest you get a cup of joe after you snap pics at the Painted Ladies. 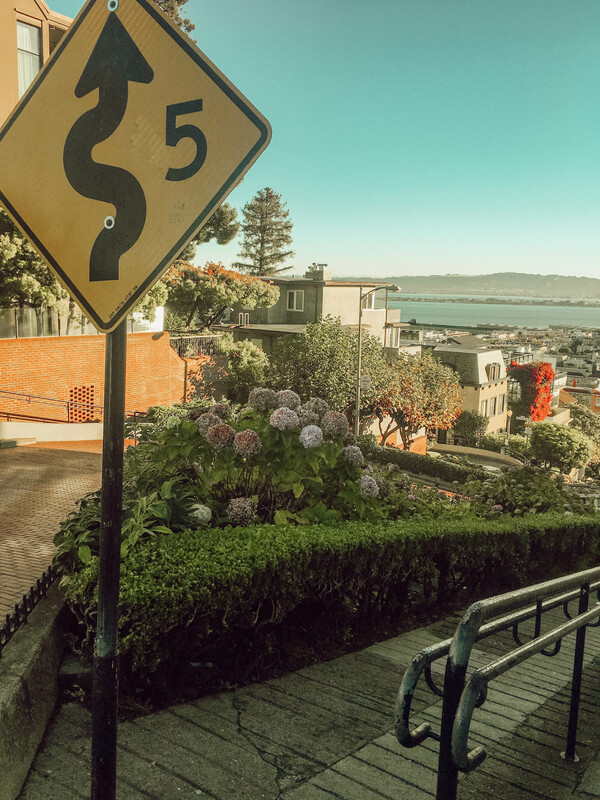 Lombard Street: Known as the most “crookedest street” in San Francisco. Although, that’s apparently not true. 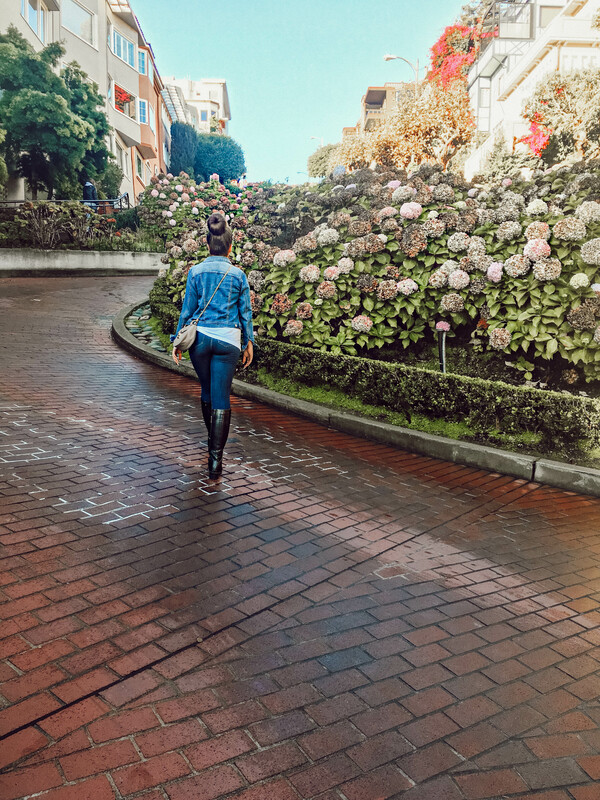 Lombard Street is still the one that gets all the hype. Watching cars drive down the zigzag road gave me a minor heart attack but I’ll admit the street is very pretty and worth the trip. We went early and were able to avoid anyone in our photos. Apparently later in the day, you can find 100’s of tourists there, so go early. 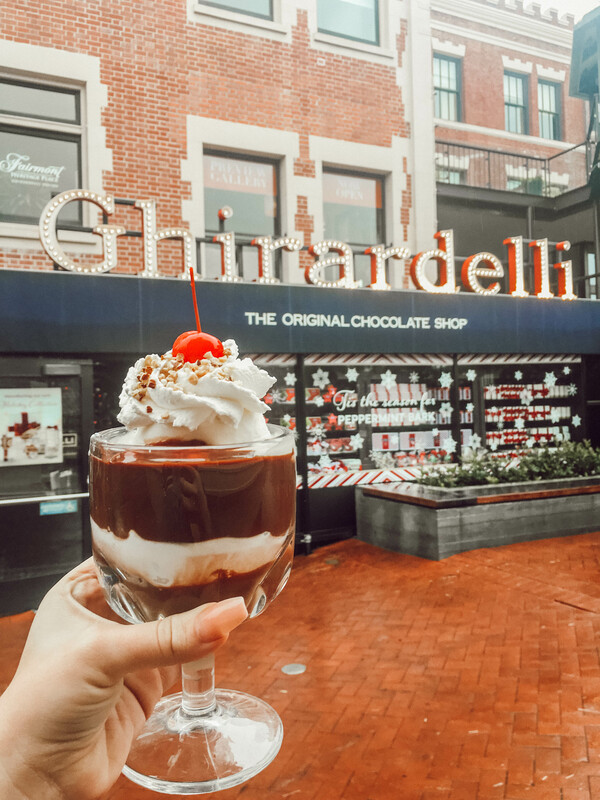 Ghirardelli Square (900 North Point St): I guess this is technically something to eat as well but the whole area is amazing. 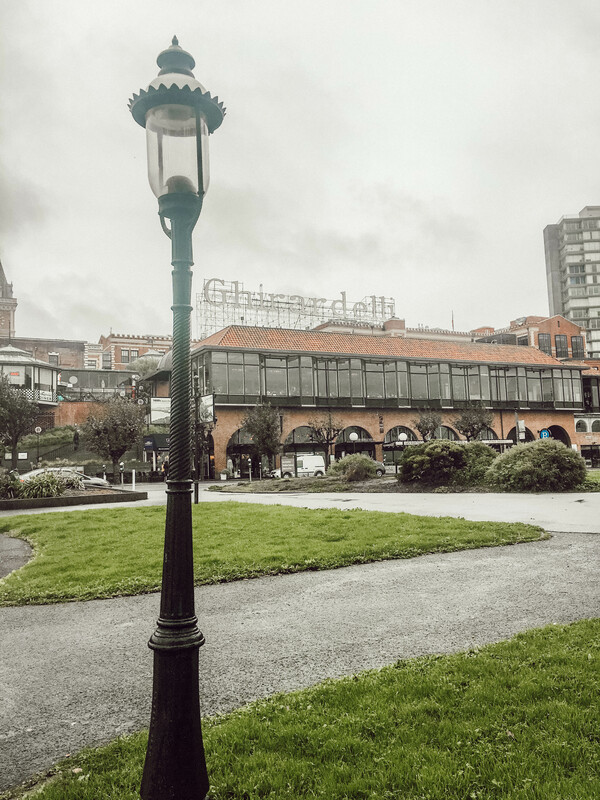 Check out the fun shops and grab a hot chocolate or milkshake at the Ghirardelli Cafe. You’ll be so glad you did! 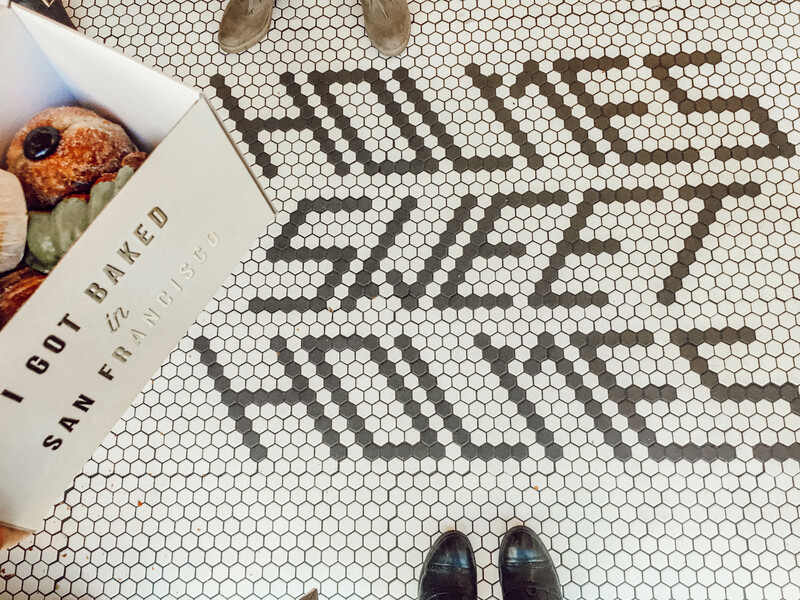 Mr. Holmes (1042 Larkin St): This has been one of my Instagram restaurant crushes forever – there are so many cute ways to get a photo of this place!! 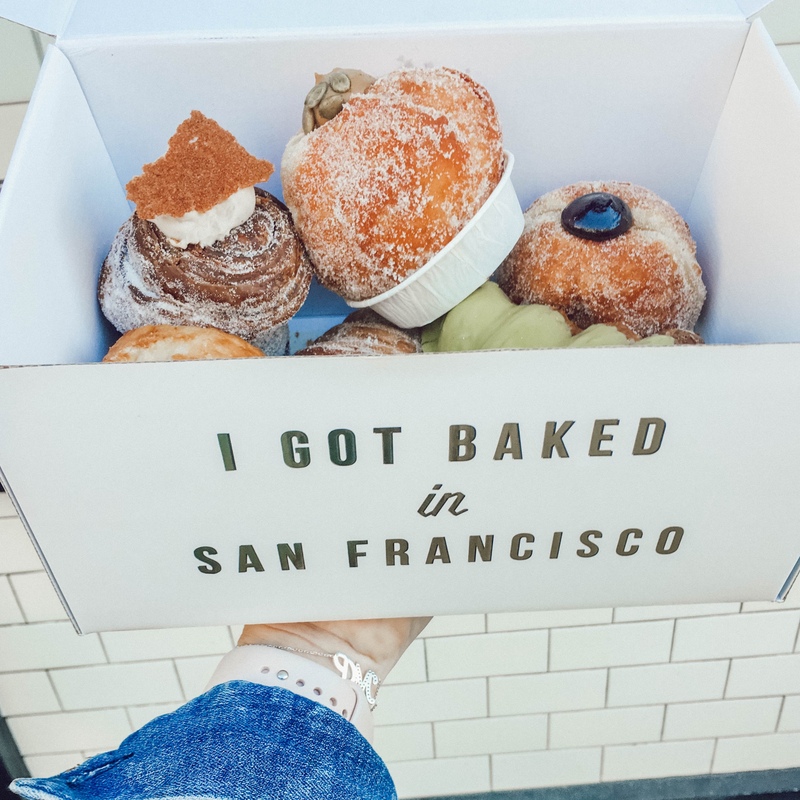 Not only is the restaurant itself adorable, but the pastries are insta worthy (oh, and yummy too). 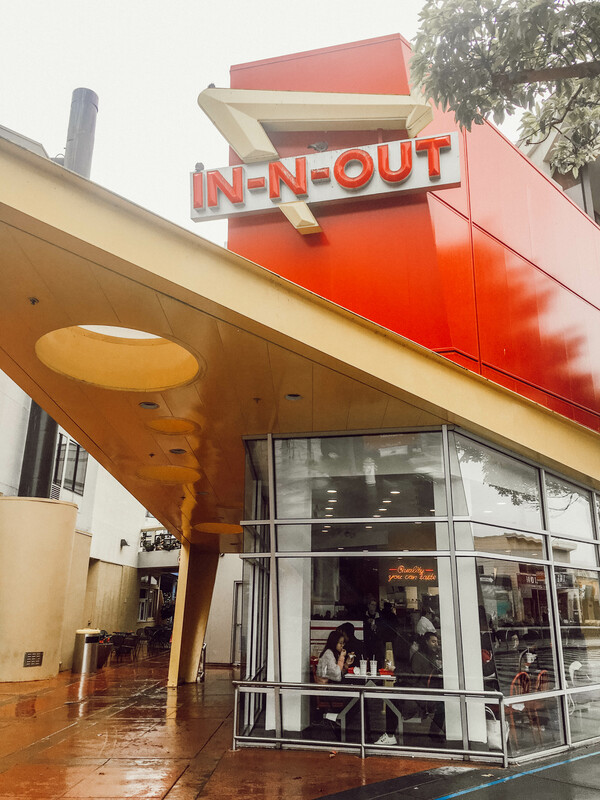 In & Out Burger (multiple locations): We don’t have these in Houston, so it was a must to hit this up. I’m not saying it’s better than Whataburger so let’s not get crazy, but it is a novelty. 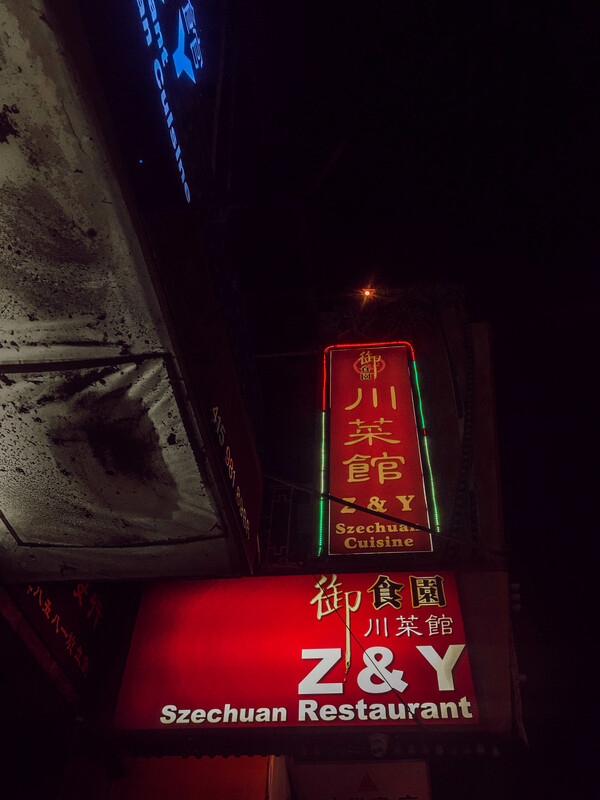 Z & Y (655 Jackson St): This gem is tucked away in China Town. It’s also very budget friendly. Plus you get to see a whole other side of the city, which is really cool. I LOVED that we were able to squeeze this in! 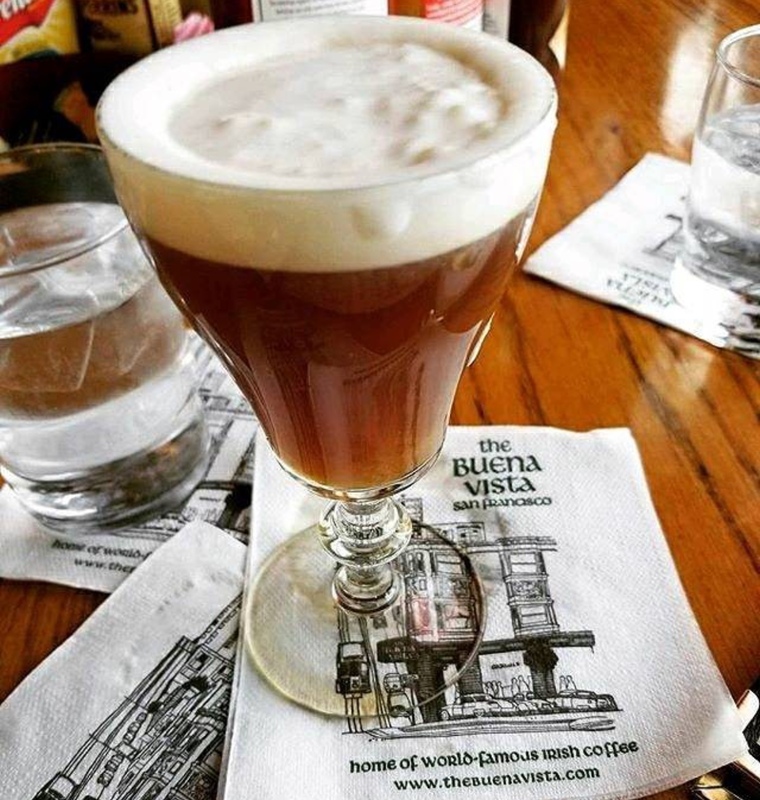 The Buena Vista Cafe (2765 Hyde St): Known for it’s famous Irish coffee, you must go by and get one! 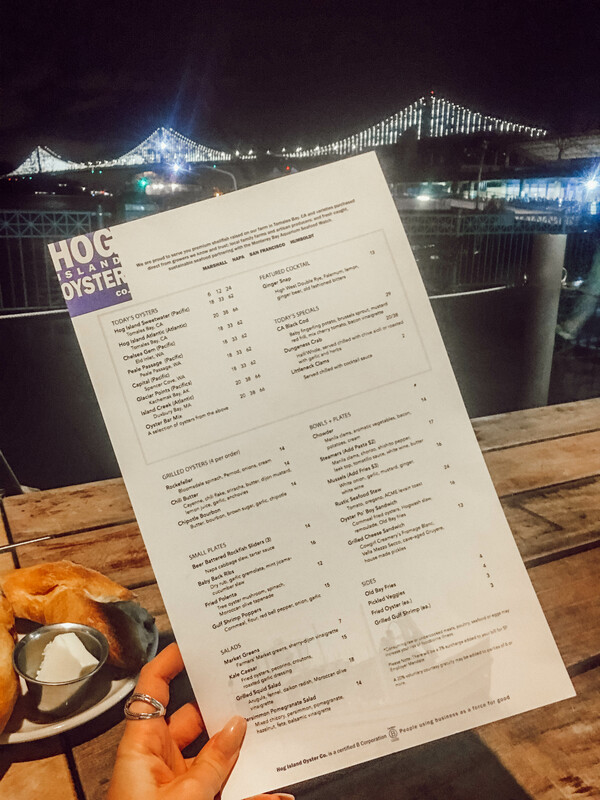 Hog Island Oyster Bar (1 Ferry Building): The whole Ferry Building is filled was fun vendors and restaurants, but my favorite was Hog. If you do nothing else on my list, do this! 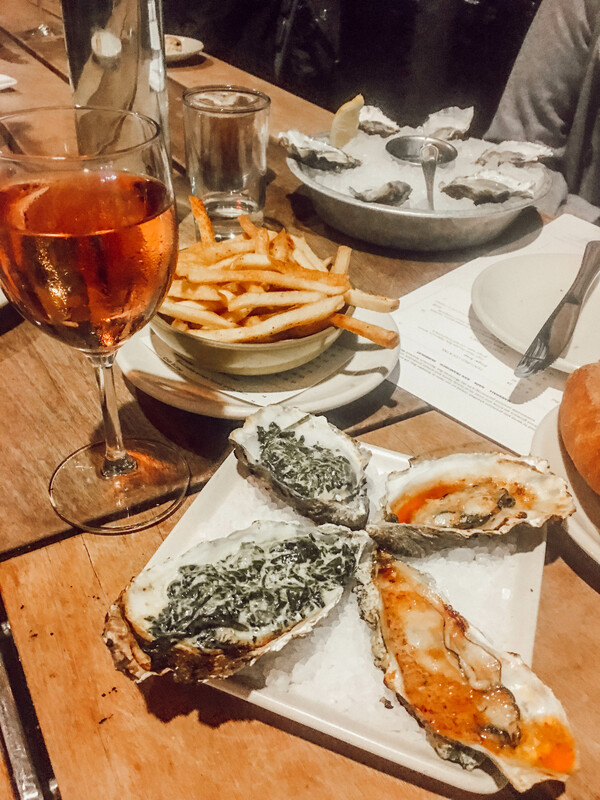 We went for cocktails and oysters before heading to dinner and it was delicious . There is indoor seating available but I recommend going outside to eat facing the water. It was really magical. No worries if you are going when it’s chilly, they have outdoor heaters. 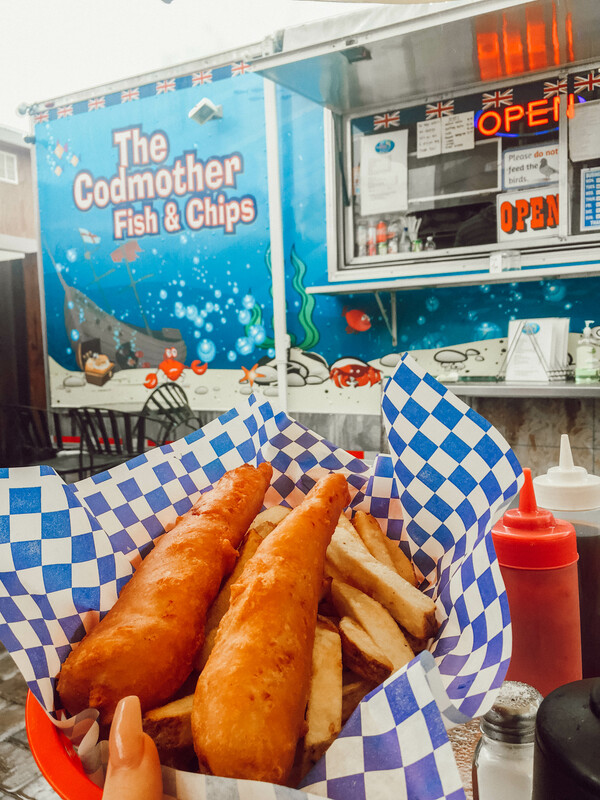 The Codmother Fish & Chips (496 Beach St): A few of my favorite things – food trucks and fish and chips. Since going to London this past summer, I have been obsessed. Defintely recommend this if your in need of a quick bite! So, that’s my San Francisco Travel Guide! 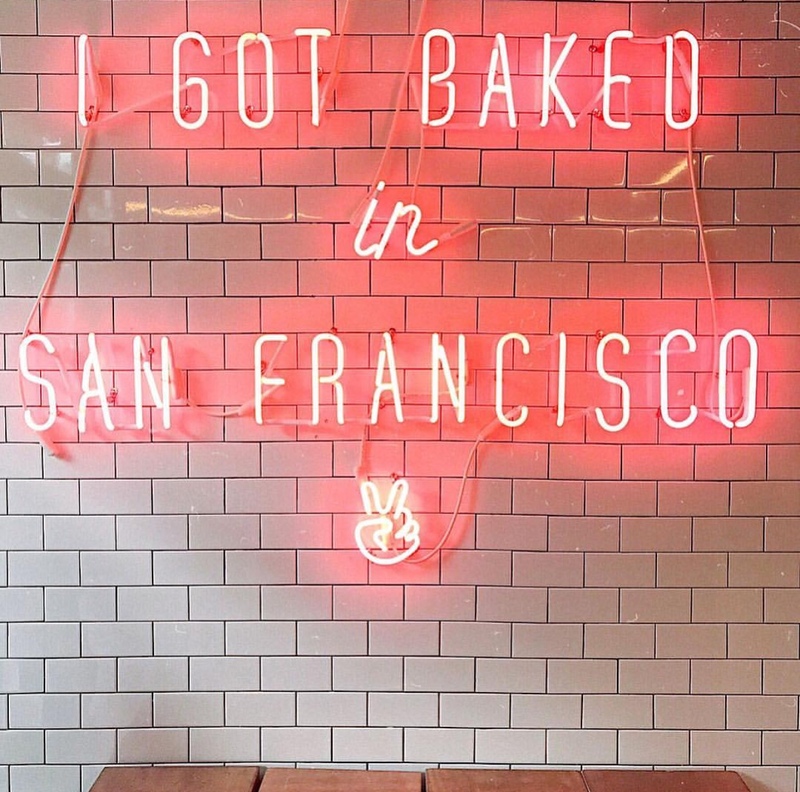 I hope this helps you plan your perfect trip to SF! If you have any questions or things to add, leave a comment below! 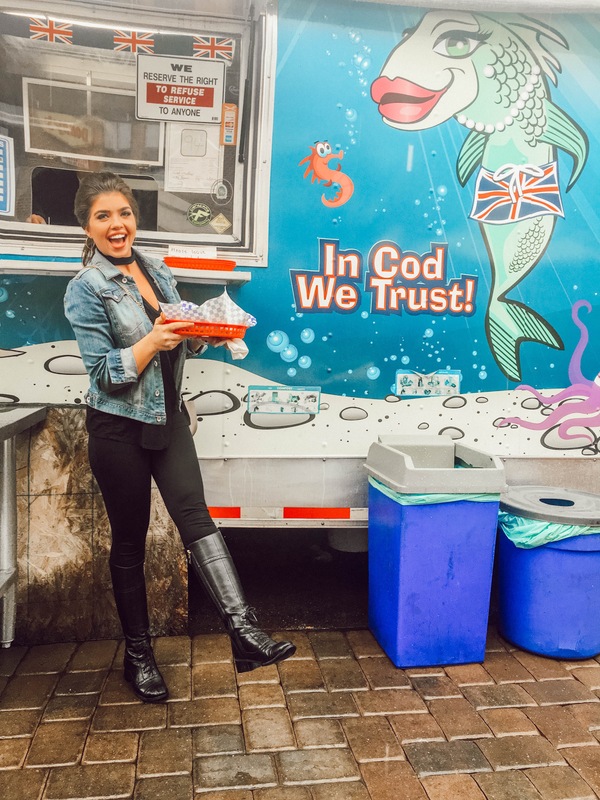 Make sure to follow me on Instagram for more travel inspo.